In their inaugural home opener, the Amarillo Sod Poodles fell to the Midland RockHounds by a score of 9-4 in extra innings. 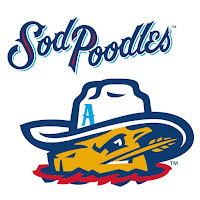 Following a scoreless two frames to start the first game with two hits apiece, Sod Poodles' leadoff man and centerfielder Buddy Reed slugged his first home run of 2019, marking the first-ever home run in Amarillo, putting the home squad up 1-0. In the top of the fourth, the RockHounds found momentum with two outs. After a leadoff double by Mikey White and two quick outs following, Greg Deichmann singled to plate White while Jonah Heim backed him up with a two-run home run to right field, extending their lead to 3-1. After Midland added a solo run in the top of the fifth, the Sod Poodles found an offensive rhythm. Brad Zunica, who's had a hot start the season, led off the inning with a home run, his third in five games. A second run was plated on Reed's sacrifice fly, scoring Edward Olivares, who doubled, minimizing the home deficit to a run. Then, in the Sod Poodles' sixth, Jorge Oña took RockHounds Norge Ruiz deep to left field to tie the affair up at 4-4, notching his first home run of the season. In the bottom of the ninth inning, the Sod Poodles threatened but couldn't plate the winning run. So, the Sod Poodles and RockHounds headed to extra innings. In the top of the tenth, Midland pushed five runs across via the bats of Luis Barrera, Anthony Miller, Dairon Blanco, and a long ball from Deichmann to give the RockHounds the 9-4 lead. Amarillo couldn't produce any runs in the bottom half of the inning and fell to the RockHounds by the score. The Sod Poodles and RockHounds continue into game two of the three-game set tomorrow night. First pitch is scheduled for 7:05 p.m. Gates are scheduled to open at 6:00 p.m.